The Seahawks announced five moves in their personnel department, all guys on the current staff who got new titles (and ostensibly, big raises). Scott Fitterer and Trent Kirchner have been elevated to the role of co-directors of player personnel, and each will direct both sides. Fitterer was their college scouting director and Krichner the pro personnel director. Kirchner was interviewed this offseason for the Jets General Manager job. They also promoted Ed Dodds to senior personnel executive, Matt Berry to director of college scouting and Dan Morgan to director of pro personnel. Morgan, the former Panthers linebacker, worked under Kirchner (who was a pro scout for the Panthers when Morgan was playing) the last two years. Morgan was one of the top linebackers in the game in the 2000s, before injuries cut his career short. With all Allen Hurns' accomplished his rookie season, you would excuse him if he allowed himself to begin to feel a least a little comfortable with his status in the NFL. After going undrafted in 2014 all Hurns did was become Jacksonville's most productive wide receiver as rookie. But for Hurns, there is no complacency. Not with the sting of going undrafted still serving as inspiration. “That fire is always going to be within from a motivation standpoint,” Hurns said, according to the team's website. To that end, Hurns spent six weeks during the offseason running routes by himself at a local Jacksonville high school. Jaguars receivers coach Jerry Sullivan says the work Hurns put in refining his route tree is evident during OTAs. “He’s all about doing the little things,” Sullivan said. Hurns, who caught 51 passes for 677 yards and a team-best six touchdowns last season, is committed to getting better. One way he plans to do that is by staying on the field. In contrast to Jacksonville's other two second-year receivers, Marqise Lee and Allen Robinson, Hurns hasn't been hampered by injuries. “I pride myself on that,” Hurns said. And while the former University of Miami standout has gone from longshot to offensive mainstay, he says he'll never forget how he got there. "That’s one thing that will always be with me," Hurns said. "People say it doesn’t matter once you get into the league, and it really doesn’t, but at the end of the day there are times you think about it. Not getting drafted, it’s always going to stick with you. With that fire still going, it's clear to his coach what Hurns is after. BEREA, Ohio -- The list of talented running backs produced by the University of Miami seems endless. The guy who gained more yards than any of them is running around in Berea, practicing with the Cleveland Browns after being the team’s third-round draft pick. 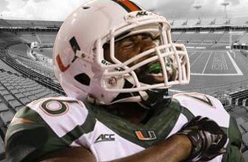 Duke Johnson's 3,519 rushing yards are the most in Hurricanes history. That’s just one of many impressive numbers Johnson put up in his time at Miami. As a freshman, he had 947 yards rushing, 221 receiving and he threw a touchdown pass and returned two kicks for touchdowns. He played just eight games his second season due to a broken ankle, but he still gained 920 yards rushing. In his final season, he ran for 1,652 yards and had 10 touchdowns. Numbers have been his thing. 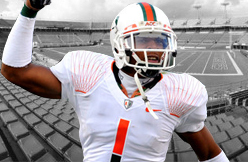 He ran for 1,540 yards as a sophomore at Miami Norland high school. His senior year he had 1,957 yards rushing, with three kickoff returns and one punt return for touchdowns. Oh, he also ran track. “Just because of what those guys were able to do with wins,” he said. Many of the Hurricanes' great backs played in an era of Miami greatness. After Howard Schnellengerger and Bernie Kosar won the national title after the 1983 season, Miami went on a streak of success that’s hard to grasp. From 1985-94, Miami never lost more than two games in a season. 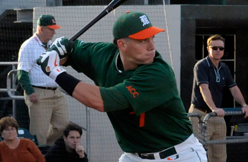 In six of those seasons, the Hurricanes finished first, second or third in the national rankings. The Hurricanes won five national titles between 1984-2001. But in Johnson’s three seasons, Miami lost 16 games -- or as many as it lost in all of the seasons from 1985 through 1995. “I still haven’t done anything close to what those guys were able to do, as far as winning,” Johnson said. Johnson’s talent is evident in the numbers he’s produced as well as the fact that he brings elements that the Browns' offense lacks. Specifically speed, quickness, the ability to break a big play and the ability to catch the ball out of the backfield. “I’m that kind of change-of-pace back that can line up anywhere and do things that most running backs can’t,” he said. Johnson has his share of Hurricanes swagger. No Miami player lacks it. But he carries his with a healthy dose of reality. He accepts where he is in the UM hierarchy, and understands he's not higher because his teams lacked in the most important number. That being said, he has looked good running and catching the ball for the Browns in OTAs. He’s worked on the kickoff return unit. And he said he’s also working on catching punts, and is willing to do it if asked. RENTON, Wash. -- Seattle Seahawks tight end Jimmy Graham is 100 percent confident in his blocking skills. Questions about his blocking ability came up a couple of times after Tuesday’s organized team activity when Graham had five TD receptions in the red zone. One reporter asked Graham how he would assess himself as a blocker. Graham’s blocking skills, or lack thereof, have been a topic throughout his career. He is widely viewed as one of the top receiving tight ends in the NFL, but not among the best blockers at his position. Does he feel like there’s a point to prove about his blocking? It took some negotiating, but the St. Charles Parish Council came to a much welcomed agreement with the Elkinsville Cemetery Association and Ed Reed Foundation that will create a long desired playground. “This will serve a badly needed area of St. Rose,” said Councilman Larry Cochran, whose District 5 includes the project, at Monday’s council meeting. Cochran said it’s an area he has long sought to revitalize. Describing the area “as practically a recreation desert,” parish Chief Administrative Officer Buddy Boe said the foundation approached the parish about finding land for the playground. The agreement is the parish will provide an access road and sewer while the foundation would “build everything above ground,” including design the park with parish assistance. With unanimous council approval, Cochran said the Ed Reed Foundation can hire an architect to begin construction. While the lease agreement needs Parish President V.J. St. Pierre’s signature, it is expected to be finalized by mid-June. The council signed off on a lease with the Elkinsville Cemetery Association for $1 a year for 40 years, negotiated down from $500 a month. Glenn Younes, executive director for the Ed Reed Foundation, said change was agreed to once it was understood the parish would maintain the park. Retired professional football player Ed Reed, a native of old St. Rose, understands firsthand how important a playground will help to positively affect the children who live there, has been trying through his foundation for the past four years to make this project a reality in his old neighborhood. Calling himself a “park baby,” Reed recalled what having a park meant to him growing up in St. Rose. According to Younes, “Ed knows these streets, because he grew up in them. He knows without something like this to give these kids the opportunity to thrive and flourish in a positive way, they’re options become pretty limited.” Reed has been giving back to St. Charles Parish for many years with a football camp he sponsors every June in Destrehan and now work can begin on the park.The area along Second, Third and Fourth streets, and Short Street in St. Rose will eventually have basketball courts, a lighted walking track, public restrooms and play area for children. 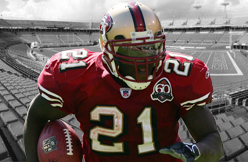 Frank Gore, NFL's Most Durable Back? Dave Dameshek at NFL.com rates the best sets of offensive trios -- or 'triplets' -- in the league. The Colts' version of Andrew Luck, Frank Gore and T.Y. Hilton comes in at No. 4. It's crazy to think Gore is pro football's most durable success story when knee injuries kept the prodigy off the field more often than not during his days at the U. Even at the decrepit age of 32, 1,100 yards and a half-dozen TDs seem like a sure bet for his first run in Indy, as he provides the theoretical balance the pass-first (and -second and -third) Colts offense has sought. Don't worry, though, fantasy fans: Luck will continue to fulfill your dreams ... and Hilton's, too. Accompanying that list is the 'sweetest Triplets' of the Super Bowl era. The Colts' Peyton Manning, Marvin Harrison and Edgerrin James come in at No. 10, three spots behind a more recent Manning group with the Denver Broncos (Knowshon Moreno and Demaryius Thomas). • Alex Marvez at Fox Sports considers the Indianapolis Colts' signing of Gore one of the NFL's 10 critical offseason acquisitions. After striking out on 2012 first-round pick Trent Richardson, the Colts went the free-agent route to snare Gore from San Francisco and Philadelphia after the 49ers' all-time leading rusher was poised to sign with the Eagles. • Robert Mays at Grantland ponders which NFL players could best duplicate the efforts of Stephen Curry in the NBA -- that is, going from a perennial All-Star to MVP caliber in one season. Is it Luck's turn? Rewarding the new guy is always appealing, and this really does feel like the culmination of what we've been waiting for with Luck for the past three years. The Colts went big this offseason, and with the offseason arrivals of Andre Johnson, Frank Gore, and Phillip Dorsett, the armory Luck has at his disposal is getting ridiculous. It doesn't take much imagination to envision him scratching the 5,000-yard mark while sniffing 50 touchdowns as Indy wins 12 games. We want the phenom to match our impossible expectations, and plenty of signs point to this being the season in which Luck does that and maybe even more. Seahawks tight end Jimmy Graham met the media after Tuesday’s OTA, the first time he’s talked in person to Seattle reporters at-large since his trade from New Orleans. Graham talked about his transition, his budding chemistry with quarterback Russell Wilson, and more. Here’s what he said. On if the Saints or Seahawks ever expressed reservations about his flying: “No. No, not really. I mean, I always tell them that No. 1, I love my life. I’m not going to do anything to put that in jeopardy. I love where my life is right now, and I’m not going to change or do anything stupid that I shouldn’t be doing. I mean, I’ve been trained by the best. I always make sure that I always keep up on all my certifications so I can be as safe as possible, in everything that I do. Most of the time when I’m flying I’m wearing a parachute anyways. So I’ll find my way to the ground some how. Habitat for Humanity Jacksonville, known as HabiJax, presented homes to 27 new homeowners in a Friday afternoon ceremony at Milne Auditorium on the Edward Waters College campus. The Jaguars teamed up with EverBank to assist in the sponsorship of the new homes, including Jaguars players and front office staff volunteering time and labor to assist in the new construction. Linder attended the dedication along with offensive linemen Tyler Shatley, Josh Wells and Austin Pasztor. Massey added that finishing a HabiJax project that helps the community is just as big as a win on game day. “We often talk about the wins and losses at EverBank Field are important, the wins especially, but the wins in the community – this is a real win when we can build a home together for the deserving folks here,” Massey said. “Partnering with the Jaguars, this is our fourth year of building homes together for deserving Jacksonville families and it’s been a great partnership,” EverBank CEO Rob Clements said during the ceremony. 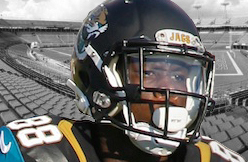 “We certainly appreciate the opportunities we have to work with the Jaguars and the partners in many ways. Each homeowner had to qualify in a number of categories to become an owner of a HabiJax home, including physical labor on the building of the house. Each had to work over 300 sweat-equity hours on their future home to assist volunteers. Other HabiJax home sponsors included Anheuser-Busch/InBev, Brumos Automotive, Chase, Coastal Construction Products, Florida Rock and Tank Lines and Woodsman Kitchens and Floors. 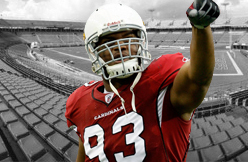 TEMPE, Ariz. -- Calais Campbell deflects questions about his leadership role like he deflects the hands of offensive linemen trying to slow his rush. "We have a lot of leaders," he says without ever mentioning himself. In that respect he is the anti-Darnell Dockett. No chest thumping. No inflated sense of his importance to the younger players. No discernible ego. "My role is: just continue to be me," Campbell said when pressed this week during OTAs. "Make sure I am vocal when I need to, get on some young guys when I need to, but just lead by example in being the best player I can be on the field. Leaders by example are always the best leaders." Whether he admits it or not, Campbell will assume the mantle of leadership along the defensive line this season. Dockett is gone, cut in a highly publicized and occasionally acrimonious cap move. 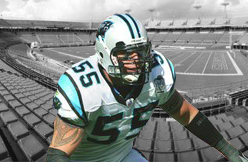 Campbell's best friend on the line, Dan Williams, also departed after signing a free-agent deal with Oakland. Veteran Frostee Rucker is well-respected, capable and articulate and the Cardinals also signed veterans Cory Redding and Corey Peters to shore up the line. But Campbell is the best player on that unit, the heart and soul of a position group that has been strong for several seasons, in spite of a late-season slip last year. Bruce Arians didn't shy away from anointing Campbell when the Cardinals coach discussed him at the NFL owners meetings in March. Nor did he shy away from asking more from his 6-foot-8 defensive end. "I'd like to see more consistent play out of him," Arians said. "He went to the Pro Bowl, but I still think he has not even scratched his consistent level of play. He disappears too much. I told him that the other day: 'you can't disappear in games any more. You've got to be dominant the whole game.'" Campbell missed two games last season after suffering a sprained MCL on Oct. 5 from an infamous chop block by Denver Broncos tight end Julius Thomas that Arians called the "dirtiest play I've seen in 37 years." He still led all Cardinals defensive linemen in tackles (58) and solo tackles (48). He had three passes defensed and 17 quarterback pressures and he finished second on the team in sacks with seven, but all of those sacks came in four games. He earned his first Pro Bowl nod in December. Arians hopes the confidence that comes from that honor will help Campbell take his game to another level this season. The absence of Dockett could have just as big an impact. Dockett's big personality often drowned out other players. Campbell is no longer in that shadow. "Losing Dockett and Dan Williams (and Antonio Cromartie), it happens; it's part of the game," Campbell said. "Those guys were really good for the team the last couple of years, but we have a lot of good leadership now. A lot of guys that were younger are stepping up." One of the newest members of the Atlanta Falcons, Leonard Hankerson, is feeling confident about his team's offense heading into the upcoming season. According to D. Orlando Ledbetter of AJC.com, Hankerson believes his team can boast a top-five offense. Hankerson has a strong argument. With playmakers like Matt Ryan, Julio Jones, Roddy White, Hankerson, Devonta Freeman and new additions Justin Hardy and Tevin Coleman, this team could be poised for huge things in 2015. Frank Gore needed a new home. The Indianapolis Colts needed a running back. It seemed like the right match for both parties, so the veteran running back called fellow South Florida native T.Y. Hilton and asked him to put in a good word with Colts' management. Gore laid out the thought process that brought him to Indianapolis in an interview with ESPN's Mike Wells. “I called T.Y. and said, ‘Tell them I’m interested,’ without even knowing if they were interested in me," Gore said, via Wells. “I figured out they weren’t happy with Trent (Richardson) during the season. I had watched from a distance as they continued to get better every year and they had one of the best quarterbacks in the league in Andrew (Luck), but I didn't know a whole lot about the organization." Hilton was happy to relay the message. He wasn't surprised the veteran running back wanted to play with Luck. Gore initially agreed to sign with the Philadelphia Eagles at the beginning of free agency in March, but had a change of heart and backed out. On paper, at least, it seems like a perfect mix of need and opportunity for both the player and the team. The five-time Pro Bowler has run for more than 1,000 yards in eight of his last nine seasons. The Colts haven't had a 1,000 yard rusher since 2007. Gore, 32, is excited by the possibilities the Indianapolis offense will present. It's why he's there. "I feel like every game can be different,” Gore said. “Some games if we have to throw 50-60 times to win, I’m with it. Sometimes we might have to pound it out. I simply want to win. That's the reason I came here. Just to win." INDIANAPOLIS — Andre Johnson squinted while trying to rack his memory. Just how many quarterbacks had he played with during his 12 seasons with the Houston Texans? Finally, he came up with a guess: Eleven. "Last year, we had three," Johnson said, laughing. The actual number of Texans starting quarterbacks during Johnson's tenure in Houston was 10, causing him to shake his head and smile. "I've played with a lot of quarterbacks," he said. Johnson can laugh it off these days, now that he's a member of the Indianapolis Colts and has spent his offseason practicing with Andrew Luck, who has started every game since being drafted with the No. 1 pick in 2012. That stability at the NFL's most important position — not to mention Luck's quick rise into the upper echelon of the league's quarterbacks — has Johnson embracing this chance for a fresh start in Indianapolis, where he is playing for a coach he's known for more than 15 years, has a locker next to one of his oldest friends (tailback Frank Gore) and is on a team that is a perennial AFC contender. The Texans have played in just four playoff games in their 13-year history, Johnson appearing in all of them, but never advanced beyond the divisional round. The Colts have already been in six postseason contests since Luck come to town and reached the AFC title game last season. "It was a frustrating few years, so just being here, it's like a breath of fresh air," Johnson told USA TODAY Sports after Wednesday's practice. These voluntary sessions early in June are ones Johnson had stopped attending during his latter years in Houston as he feuded with the only NFL team he'd ever played for about his contract and the direction of the organization. The seven-time Pro Bowler ultimately got his release March 9 after learning his role would be diminished. His visit to Indianapolis days later sparked a sense of déjà vu to when he was a teenager in Miami, and then-University of Miami assistant coach Chuck Pagano was trying to lure him to Coral Gables. Once again, Pagano's pitch worked — though he might not have needed to do much selling this time. 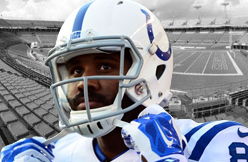 Johnson had already focused on the Colts as his ideal destination. "It was like my Miami family, and coach Pagano was just like, 'Hey man, this is like recruiting. I'm not letting you out of the building," Johnson said. "This is where I wanted to be. I came on my visit and was just hoping they could get the contract worked out." Johnson, who will turn 34 next month, signed a three-year deal worth up to $21 million that included $10 million in guarantees. A two-time all-pro and likely Hall of Famer, he is among the most accomplished players on the Colts' roster. But Johnson has landed in a place where he's not the face of the franchise (that's Luck), is filling an elder statesman role vacated by the departure of beloved Reggie Wayne (another former Hurricane) and probably won't be the No. 1 wide receiver (that has been T.Y. Hilton). It's meant Johnson has dropped his expectations for individual goals and isn't entering this season with specific catch or yard benchmarks that he needs to hit in order to consider the year a success. In a new offense, with new teammates, he said he just can't look at it that way anymore. "You're not really focused on how many balls and that stuff, it's just doing what you need to do to win. That's the biggest thing, and that's why I'm here," Johnson said. "I want to win, with the ultimate goal of the Super Bowl, and I don't know if that's 10 balls (per game) or two balls, or whatever. "I think any receiver would love to go out and catch a whole bunch of passes. But, you know, I think at the same time — with the talent that we have — we have a lot of guys that can make plays. There's only one football, and when you get your opportunities, you have to make the best of them." So, for now, Johnson is committing to Pagano's offseason plan, which means showing up for every voluntary workout. As the Colts recruited veteran players this offseason, Pagano specifically went looking for guys who would easily assimilate. 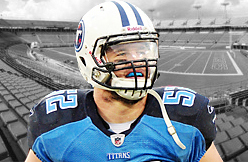 Johnson, despite more than a decade playing for an AFC South division rival, was a natural fit. "Just like a flowing river — jump in the flowing river," Pagano said, starting a winding analogy in which he compared team building to whitewater rafting. "Go with the flow. "The guys that are trying to fight the current and swim upstream, what happens to them? You're going to drown. So my deal is, buy in. Jump in the river and let it go." 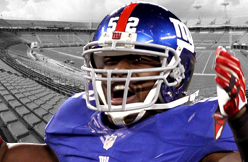 Giants linebacker Jon Beason is on the fifth defensive coordinator in eight professional seasons. Clearly, the cerebral middle linebacker has seen plenty of schemes and defensive approaches. Still, he's admittedly never seen anything quite like what new defensive coordinator Steve Spagnuolo is bringing to the table. Spagnuolo, the Giants coordinator when they won Super Bowl XLII, is known for his sophisticated, attacking style. He sends pressure from every position on the field. It's in no way simple. If anything, it's complicated. "It's the most complex system I've been in," Beason said during an interview on Sirius XM's Opening Drive with former NFL offensive linemen David Diehl and Ross Tucker. "It's my fifth defensive coordinator and it's more complex because we will not sit back and be dictated to by anybody." On the heels of the past few seasons filled with too frequent breakdowns on the backend, it's an interesting comment. The common complaint was that former defensive coordinator Perry Fewell's system was too complicated. Every year it would Inevitably have to be simplified (see this 2013 example) so they were more about execution than causing chaos. It may have compromised the unit's success.The Giants finished 29th in total defense last season, and were even forced midstream to modify their teaching methods. Therein lies a potential key to the Giants 2015 season. How they teach Spagnuolo's defense and whether it sinks in to avoid similar breakdowns will be vital. The Giants seem to have a lot of players with their hands all over the defense already. It will be imperative they are all on the same page. "[The defense is ] is very different," Beason said. "Offense creates problems by formations, moving people around, shifts, motions. It's all built into every call where we can make a change. Obviously there is a lot more pressure on the [middle] linebacker, but [Spagnuolo] puts the onus on the [strongside] linebacker, the [weakside linebacker], the safeties, everybody has a call. 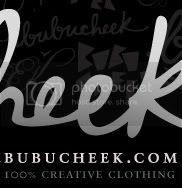 Even the defensive linemen are expected to know a lot more as opposed to relying on the check of a [middle linebacker]." It's not exactly what Spagnuolo was doing the first time around with the Giants. He's made some changes after stops as the head coach for the Rams, defensive coordinator for the Saints and as an assistant with the Ravens. This Giants defense will be unique, but not completely overhauled. "We've got some tweaks," Spagnuolo said several weeks back. "We're not going to venture too far personnel-wise because of what we have and try to change things too much, but the good thing about being in a lot of different places, whether it was St. Louis, New Orleans or Baltimore, is you can pick from other places. Nobody in this league is sharing information. So when you try to get little tidbits from other coaches, nobody is giving that info, but if you're able over the course of whatever it was, five or six years, to come up with some different things, we'll add those in and hopefully we'll come up with something really good." So far it's being well received. Dominique Rodgers-Cromartie thinks it plays into the skillset of the cornerbacks, who will play physical at the line of scrimmage. The defensive linemen are excited about the possibilities of moving around and attacking the quarterback from different angles and positions. Most of all, they're enthused by the new approach. "It's a great system because we're going to be aggressive and we're going to be ready for whatever an offense does," Beason said. "So I'm looking forward to it." Peter O'Brien not giving up catching yet? Diamondbacks general manager Dave Stewart said Monday that a decision has not been made as to whether prospect Peter O'Brien has given up catching and become a full-time outfielder. The Triple-A Reno Aces' official Twitter account tweeted Sunday that O'Brien had "made the decision" to give up catching and it was later confirmed by the D'Backs. The tweet has since been deleted and now Stewart is saying nothing is final yet. "We're never going to let a player dictate to us what he wants to do," Stewart said. "We'll sit down and, as a group, discuss and talk about what we should be doing and what the best direction is for a player." O'Brien's throwing from the catcher position has returned to normal after he had the yips in spring training. Still, it sure seems like his future is in the outfield even if the decision isn't official yet. He's batting .339/.377/.634 with 12 homers and 47 RBI over 49 games for Reno this season. RENO, Nev. (Mynews4.com & KRNV) -- Reno Aces slugger Peter O'Brien is proving to be one of the game's best rising young stars. He ranks at or near the top of the leaderboard in the Pacific Coast League in batting average, extra base hits, home runs and RBI's. But to get a real glimpse of just how good he can be, it's the sounds that tell the story - not the numbers. And the sound that the ball makes when O'Brien is behind the stick - is something special. "There's no explanation for the sound, I can't really tell you what it is," said Aces Manager Phil Nevin. "It's a different one. It almost sounds like it's a tennis ball coming off the bat." "It's almost like a gunshot," explained team radio broadcaster Ryan Radtke. "You hear balls off the bat in batting practice and it's just the sound of the ball making coming off the bat. When it comes off his bat you turn to look because there's that different sound. Was that a baseball? Or was that something else? It's just amazing." At just 24 years old (he'll turn 25 in July), O'Brien could develop into one of baseball's next best home run hitters. Nevin, a veteran Major Leaguer with 12 years of experience, compared his power to that of two of the best sluggers over the past couple of decades. "Mark McGwire was one and Mike Piazza is another one," Nevin said. "Those are sounds you don't forget when you're playing against somebody on the field and when you hear those things happen when you're standing around the cage as a coach - it catches your eye." Radtke, who has been behind the mic for the team since the franchise arrived in Reno, offered another comparison. "He's the only guy that I have ever compared to Wily Mo Pena," he said. "If you watch the balls that Peter O'Brien hit he has ridiculous power." "It's really a lot of fun to watch." The only thing stopping his progression to the majors is finding a place for him defensively. He's bounced around from catching, to the outfield, and both corner infield spots. But once he does find a spot, he will finally realize his dream of playing in the big leagues, something he's thought about since he started playing as a kid. "I've know that and I've had that image in my head since I was two years old and started playing baseball," O'Brien said. "I feel great, and I'm extremely confident that I have what it takes to play at the next level." Nevin has little doubts too. "There's really no ceiling on what his potential is, what he future is going to be," he added. "You don't see bats like that come around very often. " "It's a special, special bat." 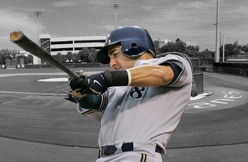 Milwaukee Brewers outfielder Ryan Braun wasn’t available on Wednesday. He was in Anaheim, California having a cryotherapy procedure performed on his right thumb. It’s the second such procedure for Braun. The first was performed Oct. 2. Manager Craig Counsell said the decision to send Braun for a second treatment was planned. Braun is hitting .258 with 12 home runs and 38 rbi. He was named the National League Player of the Month for May. The Brewers are hoping to have Braun for part of their upcoming weekend series against the Minnesota Twins at Target Field. As for the effectiveness of the latest treatment, head trainer Dan Wright told the Milwaukee Journal Sentinel that the procedure has a three-to-four month window of effectiveness. Braun may need the procedure to be repeated over the course of the rest of his career, and that can by safely done provided it remains effective. I've heard the arguments. First basemen should hit more homers. First basemen should drive in more runs. But at this point in time, the Padres are better off with Yonder Alonso at first base than anyone else. Offensively and defensively, Alonso is the best option. Yes, Wil Myers proved he could play first when Alonso first went on the disabled list May 8 with the bone bruise to his right scapula. And Yangervis Solarte did the best possible job when he took over at first when Myers (left wrist tendinitis) followed Alonso to the DL three days later. But Myers and Solarte both better serve the Padres elsewhere if Alonso is hitting what he is hitting -- which is .352 with a .439 on-base percentage. When Alonso was injured, he was hitting .333 with a .427 on-base percentage, marks that ranked among the top five hitters in the National League. He was 3-for-4 with two runs against the Mets on Tuesday night in his return from the DL. Plus, Alonso made a leaping catch to deprive the Mets of an extra-base hit when the game was still in question. The left-handed-hitting Alonso is adept at playing first base. He's a superior defender to Solarte, a switch-hitter who could still spell Alonso at first against tougher left-handed pitchers. Myers looked good at first, but the sample size is too small to really define his ability there. Besides, the Padres are better served by having the bats of both Alonso and Myers in the lineup. That might also go for Solarte. The Tennessee Titans depth at cornerback took a hit as veteran Brandon Harris suffered a torn ACL in his left knee during Tuesday's OTA session. According to John Glennon of the Tennessean, Harris will likely miss the entire 2105 season. Harris, who is entering his fifth season in the NFL, signed a one-year contract with the Titans in March. The 5-foot-10, 189-pound Harris played appeared in 11 games for Tennessee last season, recording 11 tackles. Harris was vying to serve as a back up to starters Jason McCourty and Perrish Cox in 2015. A second-round pick out of the University of Miami in 2011, Harris spent his first three seasons with the Houston Texans. As Glennon notes, Harris is expected to have surgery on his knee, with rehab typically taking between six to nine months. Rookie TE Clive Walford spoke to the media Tuesday, following the team’s practice session. The former Miami Hurricane has been impressive during the offseason and is looking forward to continuing his football education in Silver and Black. Here are the highlights from his time behind the microphone. Adjusting to the NFL game has proven to be a challenge for the rookie, but it’s a challenge he’s not backing down from. Walford has a lot to do to prepare for his rookie campaign in Silver and Black, and just because he’s done in the facility doesn’t mean his work for the day is done. “I love it, because people don’t really respect blocking, blocking tight ends, and I take a lot of pride in blocking. I take a lot of focus when I’m out there. I try to make sure I have the right hand placement and am taking the right foot steps and what not to make myself successful in the run game." New York Giants rookie safety Landon Collins wore No. 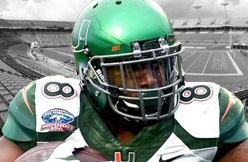 26 in college to honor the late Sean Taylor, who wore the number during his career at the University of Miami. Collins, who has called Taylor his idol, wants to keep honoring the former safety as he begins NFL career. 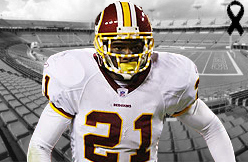 The Giants and Collins announced Tuesday on Twitter that Collins has changed his number to 21, the number Taylor wore during his NFL career with the Washington Redskins. Collins, an Alabama product, was picked by the Giants in the second round (No. 33 overall) in the 2015 draft. He’s expected to earn a starting role. This will not be the only Denzel Perryman thinkpiece you'll read on this bustling Tuesday morning. Perryman, the Chargers' second-round pick and future starting inside linebacker, has been limited throughout voluntary activities with a hamstring injury. Despite this, he joined some of his teammates for an all-star dodgeball event that benefitted more than 25 local schools in the San Diego area. The jumping and shifting was not appreciated by Chargers head coach Mike McCoy. "It's been discussed," McCoy said, via U-T San Diego. "That's all I'm going to say. I've discussed it with him. That's it. You've got to get past these tests here before you do all of that stuff." There's no indication that Perryman suffered any further injury from playing dodgeball, though the potential was there, which was enough to place the rookie inside McCoy's dog house. But really, what's the difference? Hamstring injuries and other similar non-contact issues are so fickle and could happen to any player at any time. Dynamic stretching exercises help but can never truly eliminate all the risk. Plus, it was for a good cause. If nothing else, a high draft pick should be applauded for getting into the community and meeting his fan base. RENTON, Wash. -- No one on the Seattle Seahawks' roster was asking "Who’s Jimmy" on Tuesday. Tight end Jimmy Graham was the star of the day, making five touchdown catches in the red zone during the organized team activity practice. It's just one 90-minute workout session with no pads or helmets, but Graham was the unstoppable force in the red zone the Seahawks are hoping he can be in 2015, and the reason they made the blockbuster trade in March to acquire him from the New Orleans Saints. No one is more pleased to have him as a target than quarterback Russell Wilson. Graham dominated the defense on the red-zone passes in 11-on-11 and seven-0n-seven drills, including two lob throws from Wilson in the corner of the end zone where Graham used his 6-foot-7 frame to grab the ball away from rookie defender Triston Wade, who is only 5-11. After each of his five TDs, Graham spiked the ball hard in the end zone, which brought laughs from the offense and a few boos from the defense, but it was all in fun. Seahawks linebacker Bruce Irvin, the man who had an on-field altercation with Graham before a playoff game two years ago and asked, "Who's Jimmy" wasn't there Tuesday, still sitting out the voluntary OTAs. 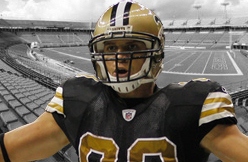 But everyone knows who Jimmy Graham is now. On Tuesday, the National Football Foundation (NFF) and College Hall of Fame announced the names on the 2016 ballot for induction into the College Football Hall of Fame. Among the 76 players on the ballot, two are former Miami Hurricanes. Former Canes Jerome Brown and Ray Lewis both have a chance to be elected to the College Football Hall of Fame. The announcement of the 2016 class will be made on Friday, Jan. 8, 2016, at the JW Marriott Scottsdale Camelback Inn, the weekend before the 2016 College Football National Championship game in Glendale, Arizona. Other notable names that will be on the 2016 ballot include 2004 Heisman Trophy Winner Matt Leinart, two-time Florida State All-American Derrick Brooks and former Georgia offensive lineman Matt Stinchcomb. 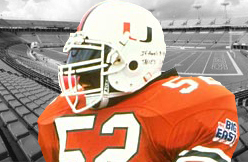 Brown, defensive tackle for the Hurricanes from 1983-1986, led the club to four straight New Year’s Day bowl games. As a senior, Brown was a unanimous First Team All-American and finalist for both the Outland and Lombardi trophies. 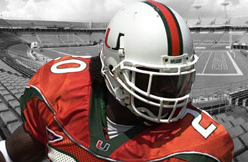 He currently ranks 10th in Miami school history with 21 career sacks. Lewis played for Miami from 1993-1995. He was a two-time First-Team All-American (1994, 1995) at linebacker and was a Butkus Award runner-up as a junior. 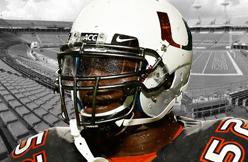 Lewis helped the Canes to a Fiesta Bowl and Orange Bowl apperance while he was at Coral Gables. He ranks sixth all-time at Miami in tackles with 388. 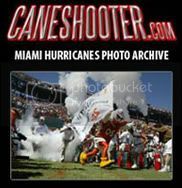 Ten former Hurricane players or coaches have been voted into the College Football Hall of Fame: Jack Harding (1980), Andy Gustafson (1985), Ted Hendricks (1987), Don Bosseler (1990), Bennie Blades (2006), Gino Torretta (2009), Arnold Tucker (2008), Russell Maryland (2011), Jimmy Johnson (2012) and Vinny Testaverde (2013). INDIANAPOLIS -- Nothing had to be said to Frank Gore. He knew what was happening despite what was being said publicly. The then-San Francisco 49ers running back was experiencing the phase-out with his own eyes. The plays, the same ones he took the handoffs on for most of his 10 years with the organization, were being run with him on the sideline last season. And as the phase-out continued, Gore’s eyes and his mind started drifting elsewhere. They started wandering some 2,300 miles to the east in Indianapolis. Gore knew he wanted to continue his career, but it had to be the right situation. The Indianapolis Colts and Gore needed each other. The Colts' Trent Richardson experiment at running back became more and more embarrassing for the franchise each week as he failed to average 4.0 yards a carry. The Colts couldn't continue down that path in the backfield. They needed a running game to complement franchise quarterback Andrew Luck's arm. Gore picked up the phone after the season and dialed the number of a player he knows well. He called Indianapolis receiver T.Y. Hilton. Both are from South Florida, and Gore’s cousin and Hilton were teammates at Florida International University. “I called T.Y. and said, ‘Tell them I’m interested,’ without even knowing if they were interested in me," Gore recalled saying. “I figured out they weren’t happy with Trent during the season. I had watched from a distance as they continued to get better every year and they had one of the best quarterbacks in the league in Andrew, but I didn't know a whole lot about the organization." Hilton didn’t need a used-car salesman pitch to sell Gore on the Colts. Luck was the loaded Porsche that needed some more pieces to make things run even smoother. The Colts, despite reaching the AFC Championship Game last season, have had only one player rush for at least 100 yards in a game in Luck’s 48 regular-season games. They haven’t had a 1,000-yard rusher in a season since 2007. Gore had verbally agreed to sign with the Philadelphia Eagles at the start of free agency March 10, but his mind was still in Indianapolis, not with Chip Kelly and the Eagles’ offense. Gore, despite knowing the potential backlash, told his agent to continue talking to the Colts to try to work out a deal with Indianapolis. Not only was a reduced role tough for Gore to deal with last season, so was not making the playoffs after three straight years of reaching at least the NFC Championship Game with the 49ers. There were recruiting efforts by other players Gore knows around the league, but despite their efforts and the money being thrown his way, it came down to three things: the chance to play with Luck, wanting to play for an organization that had Super Bowl potential and Gore’s relationship with Hamilton. Hamilton was on San Francisco’s staff in 2006 when Gore rushed for a career-high 1,695 yards. Gore, leaning back in his chair and his foot propped up on his locker, finds himself at times thinking ahead to next season. He has spent the majority of his career facing defenses that loaded the box with eight or nine defenders. That won’t be possible because of Luck -- who Gore called one of the smartest players he has ever met -- and the weapons he has at receiver and tight end. The Colts managed to get by without much of a running game to finish third in the NFL in total yards last season. Now with Gore in the mix they should be even better. Statistics suggest Gore, who signed a three-year, $12 million contract with the Colts, should see a decrease in his production this season. He just turned 32, and Ricky Williams is the last running back to rush for at least 1,000 yards at that age or older. Williams rushed for 1,121 yards with the Miami Dolphins in 2009. The difference between being in San Francisco and Indianapolis for Gore, though, is that he doesn’t have to touch the ball 15 times a game for the Colts to win. He simply needs to take some of the load off Luck’s shoulders by forcing the defense to respect the run game. “I feel like every game can be different,” Gore said. “Some games if we have to throw 50-60 times to win, I’m with it. Sometimes we might have to pound it out. I simply want to win. That's the reason I came here. Just to win." The Seattle Seahawks' recently acquired tight end Jimmy Graham said Tuesday that the 2014 shoulder injury that haunted him last season is finally healthy, and that playing with the injury in 2014 amounted to "10 weeks of terror," according to The Seattle Times. Graham, who has taken on an increasingly popular role during a short time with Seattle, was acquired by the Seahawks in a Mar. 10 trade that sent center Max Unger to New Orleans. Graham also noted Tuesday in his first address to local media members that the closeness among team members was similar to that of being in college, and that his time with the team thus far has exceeded his expectations. "I'm 270 pounds. I can block anyone I want to...you want to go right now?" Graham even joked to The Tacoma News Tribune. Graham injured his shoulder early in the 2014 season and played through the injury for the rest of the year. He declined to have surgery on the shoulder at the end of last season. His production was limited in 2014 compared to former seasons. 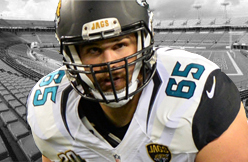 The tight end caught 85 passes for 889 yards in 2014, both of which were his lowest output since 2010. 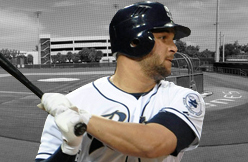 SAN DIEGO -- The San Diego Padres have reinstated first baseman Yonder Alonso from the 15-day disabled list. Alonso, on the DL with right shoulder bruise retroactive to May 8, was hitting .333 with one home run and 10 RBIs when he suffered the injury May 7 against Arizona. He dived for a ground ball and landed on his shoulder. The Padres optioned right-hander Cory Mazzoni to Triple-A El Paso on Tuesday. Rookie linebacker Denzel Perryman is limited during the Chargers' OTA session Monday as he deals with a minor hamstring issue, per the San Diego Union-Tribune. 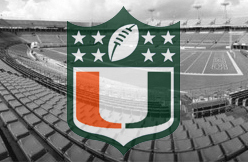 Perryman, who will play inside linebacker and on special teams, was the team's second-round pick out of Miami. Browns rookie running back Duke Johnson reported to team headquarters Monday for organized team activities and practiced after missing OTAs last week. Nathan Zegura, the team’s senior media broadcaster, revealed the news on the organization’s radio show, Cleveland Browns Daily. Practice was closed to the media Monday, but it’ll be open to reporters Tuesday. Of the 12 players the Browns recently selected in the NFL Draft, Johnson is the only one who has yet to sign his rookie contract. However, his absence last week at OTAs, which are voluntary, wasn’t related to his contract. Johnson, a third-round pick, dealt with a family matter in Washington, D.C., his agent, Alex Gavilla, told Cleveland.com last week. Then he attended the NFL Players Association Rookie Premiere in Los Angeles. Johnson, the University of Miami’s all-time leading rusher, is expected to compete with second-year running backs Isaiah Crowell and Terrance West for a prominent role in new offensive coordinator John DeFilippo’s system. Special teams coordinator Chris Tabor wants to give Johnson plenty of opportunities as a kickoff returner and is teaching him the intricacies of returning punts as well. The 5-foot-11, 225-pound Crowell (148 carries, 607 yards, 4.1 average, eight rushing touchdowns) and the 5-10, 227-pound West (171 carries, 673 yards, 3.9 average, four rushing touchdowns) showed promise, at times, as rookies. But the 5-9, 210-pound Johnson is considered a different type of back who can help the offense as a formidable receiving threat, especially on third down. The Browns finished last season with the fewest receptions (32) and receiving yards (226) among running backs in the NFL, according to the Elias Sports Bureau. DeFilippo has said he wants to use the backs as receivers more often. Vereen, who signed with the New York Giants this offseason, had 52 catches for 447 yards and three touchdowns this past regular season. He added 18 catches for 144 yards in the playoffs, including 11 receptions for 64 yards in the Patriots’ 28-24 Super Bowl win over the Seattle Seahawks. Johnson wasn’t the only rookie who practiced for the first time since OTAs began. The Seahawks went indoors on Monday for their fourth of 10 OTAs, a workout that was closed to the media. They will hold another on Tuesday, which will be open to the media. Seahawks.com posted some pictures of the Monday workout, with the first one featuring tight end Jimmy Graham, a moment that marks something of a debut with it being his first appearance on the field for the team in an 11-on-11 setting. Graham missed the three OTAs last week after the death of his personal manager and surrogate mother, Tamara Meyerson. There are about a half-dozen other pictures of Graham, as well as a few of Russell Wilson, who made it back for Friday’s OTA. Padres manager Bud Black said it's likely that first baseman Yonder Alonso is back with the club on Tuesday, according to San Diego radio station Mighty 1090 AM. Alonso has been rehabbing a bruised shoulder that landed him on the disabled list back in early May. 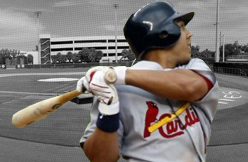 Alonso hit a single and double during his fifth rehab assignment on Sunday. Alonso is hitting .333 in 26 games. A single conversation proved the tipping point for longtime Texans wide receiver Andre Johnson. Coach Bill O'Brien told the longest-tenured Texan his role would be reduced. That's when Johnson knew he and Houston had a problem. The revelation of the conversation comes from a Zak Keefer feature in the Indianapolis Star and disputes previous reports about the parting-of-ways interplay between the Texans and Johnson. Andre Johnson couldn't believe what he heard next. O'Brien told him he'd only start certain games next season. That he'd only catch around 40 passes — less than half his career average. Johnson's role, apparently, was shrinking. The Texans granted Johnson's request on March 9, releasing the face of the franchise from the years B.W. (Before Watt). The interchange slightly jibes with the sequence of events described by Johnson's agent in the immediate aftermath of the conversation. “Andre did not, in the last couple of days, go in and ask for a trade,” Kennard McGuire told SportsRadio 610 in March. “Certain things were expressed to [Andre] in which he didn’t agree with. And at that point in time permission was thusly granted to seek an opportunity elsewhere. That was not something that we asked for. That was something that was presented to us." No matter the semantics, Johnson expressed discontent with how O'Brien handled the conversation, feeling his coach either sidestepped a tougher talk or decided on the reduced role rashly. "I think they wanted to go in a different direction and just didn't know how to tell me," Johnson told Keefer. "Deciding who was going to start six months before the season? I've never heard of that in my life. And I caught 85 balls last year. It didn't add up. Don't tell me what my role is going to be when we haven't even started workouts." But the story, it seems, has a happy ending. Upon signing with the Colts, it appeared Johnson appreciated the new coach-player dynamic. Johnson compiled more than 13,500 yards in his 12 seasons as a Texan, twice earning first-team All-Pro honors. The 2015-16 season with the Colts will be his first without the bull's head on his helmet since his days at the University of Miami, where Colts coach Chuck Pagano was on staff. As Erik Swoope enters his second season with the Indianapolis Colts, it may be time to stop thinking him as a former college basketball player. Instead, head coach Chuck Pagano says Swoope is blossoming into an NFL tight end. "He's doing a nice job," Pagano told reporters Wednesday, according to Stampede Blue. "He's turning into a football player right before our eyes. The guy is a hard worker. He's got talent. He can run. He's got a big catch radius. He understands things obviously better now than he ever has, so he's able to play faster like I mentioned before. He's making plays." Swoope, who signed with the Colts after playing basketball at the University of Miami, spent last season on the team's practice squad. It was his first season playing organized football. While Pagano said the progress has been evident, he stressed Swoope still has more to do to earn a roster spot. "Again, it'll be with all those guys that are fighting for roster spots, special teams are going to play a major role in that as well. Until we get the pads on though, we could all dress out and look pretty good out there right now. Most of us." Browns running back and unsigned third-round pick Duke Johnson did not miss voluntary OTAs this week because of any contract squabble, the Northeast Ohio Media Group is reporting. Rather, he was sidelined due to a family matter. "We did not instruct him to miss OTAs," said agent Alex Gavilla. "We're not trying to take an aggressive negotiating strategy. Duke is very close to his family and he had a personal matter to attend to. He has no plans of holding out of anything." Johnson, who will compete with Terrance West and Isaiah Crowell for playing time, is the only one of 12 Browns draft picks to remain unsigned. But the two sides are close. "We're looking at all of the deals that relate to Duke and just trying to find a middle ground with the team," Gavilla said. "We're in constant communication with the Browns front office and having good dialogue." TEMPE, Ariz. -- Coming off his first Pro Bowl appearance, Arizona Cardinals defensive end Calais Campbell has narrowed his focus during the first two weeks of organized team activities. He's working on regaining his technique. "During the offseason you don't really work technique drills before OTAs, you kinda just work on conditioning and getting your power and explosion and all that good stuff in the weight room," Campbell said. "And now when you get on to the field, you want to work on your technique so you're almost like starting brand new again, just getting a feel for it again." Campbell is also using OTAs to get a feel for his new teammates, especially those who'll line up next to him on the defensive line. The Cardinals didn't re-sign Dan Williams and cut Darnell Dockett, both of whom who, along with Campbell, comprised the Cardinals' defensive front from 2010-2013. Arizona signed Cory Redding and Corey Peters in their place, and the last week-and-a-half have given Campbell an opportunity to see how they rush and how the three complement each other. "You can sort of start here," Campbell said. "It's sort of different, though, without pads on and without going 100 mph. Everything is so much different. "So, now you just scratch the surface on how it's going to be and you get a feel for it. We're still a long way's away." Part of getting new teammates is adjusting to their leadership styles. After years of watching Dockett and Williams in the locker room, Campbell is finding out how a veteran like Redding commands respect. Replacing Dockett, Williams and even Antonio Cromartie will be left up to the new faces as well as returning vets like Jerraud Powers and Rashad Johnson. "It happens," Campbell said. "It's part of the game. Those guys were really good for the team the last couple years. 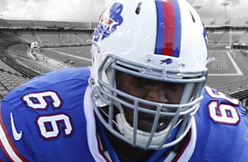 "Cory Redding coming in is a natural leader. Frostee [Rucker]. Even Sean Weatherspoon is a guy that is very well spoken. On the defense, we're not missing any leadership." Yonder Alonso moved his minor league rehab assignment up to Triple-A El Paso on Friday. He played in two games at High-A Lake Elsinore, going 1-for-6 with three walks before joining El Paso where he went 0-for-3 with a pair of walks and two runs scored on Friday. He's getting closer to a return to the Padres and could be activated from the disabled list at the beginning of next week. ST. LOUIS (AP) — The St. Louis Cardinals activated outfielder Jon Jay from the 15-day disabled list but did not have him in the lineup against the Los Angeles Dodgers. "A lot of it has to do with how Randal has been playing," manager Mike Matheny said. "We haven't seen that much of Jon the last few weeks. Going into a big series, kind of going with that hot hand right now." "There's a chance he'll be in the bowels of the stadium waiting for an opportunity," Matheny said of Holliday, who has reached base in a franchise-record 43 consecutive games to start the season. "I think most of it comes down to how are they doing right now," Matheny said. "We like what Randal's doing and we like when Peter's getting an opportunity, he's making a difference." has hit 20 or more homers the last seven seasons and entered the weekend series batting .253 with three homers and 13 RBIs. "For now, the message I'm going to continue to give us we brought Mark Reynolds here for a reason, just in case we needed someone to step in," Matheny said. "Something happened. We're not going to make any bold statements except we want Mark to go out there and thrive." ST. LOUIS -- Los Angeles Dodgers manager Don Mattingly wasn't in the middle of the action at last December's winter meetings, the ones the Dodgers took over for a stretch of 36 hours, because he was back home in Indiana helping his wife take care of their newborn baby. But it's fair to say he had a better idea than most people what the Dodgers were getting back in the deal that sent franchise cornerstone Matt Kemp to the San Diego Padres. Yasmani Grandal had missed much of the season recovering from knee surgery, but by the time he got his legs under him, Mattingly -- ever the keen observer of hitting -- saw some serious potential. "At the end of the year, we couldn't get him out," Mattingly said. "I knew his swing was good and he was getting to the point that he was dangerous." While Kemp is hitting home runs at the pace of one every 201 at-bats, Grandal has continued his recovery at the plate. He mashed the biggest road hit for the Dodgers in weeks, a three-run home run in the team's 5-1 win over the St. Louis Cardinals Saturday night. But he also appears to be benefiting from his exposure to a Dodgers organization that has for generations prided itself on producing catchers with a good understanding of how to work with pitchers. That was anything but Grandal's reputation in San Diego, where some of the Padres best pitchers preferred to work with the other catcher. Grandal helped rookie right-hander Carlos Frias bounce back from a nightmare game last weekend at Dodger Stadium, one in which he only lasted four innings because the Dodgers really, really needed him to keep their bullpen from going seven or eight innings. Frias allowed 10 runs on 12 hits that day, joining a fairly exclusive club of pitchers to have been hit that hard that early. Frias was already in that club, oddly, because of one awful afternoon at Coors Field late last season. After he held the Cardinals to one unearned run on five hits over seven innings Saturday night -- an awfully solid bounce-back -- he credited Grandal for coming up with the game plan and leaving him free to concentrate on the execution of his pitches. Grandal simplified, asking Frias to rely primarily on his mid- to upper-90s fastball in the early going. Grandal thought Frias tried to do too much in his previous outing. "He wanted to use all four of his pitches from the beginning for some reason and I thought we could go with one or two pitches for the first three or four innings and all of a sudden mix in those other two," Grandal said. "If he's thinking, he's probably not doing his job right," Grandal said. The Dodgers haven't gotten this kind of offensive production from a catcher since Russell Martin left. By the time Grandal's career is done, Mike Piazza might be a more apt comparison, who knows? 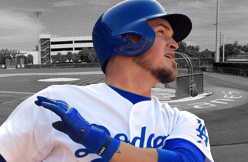 Grandal is batting .400 in May with an 1.152 OPS. He managed to continue his barrage despite a seven-day layoff after being mildly concussed when he was hit in the side of the head by a bat. He came back from that and had the only big hit the Dodgers have ever managed off Michael Wacha, including in some of their most painful postseason failures. That's not a bad thing for them. "My first two at-bats, I wasn't getting my hands to the right spots and I was missing, swinging under pitches," Grandal said. "I was just trying to get my timing back and I think the only mistake he made all night, I was able to capitalize on." The catching-starved Diamondbacks intend to move forward with prospect Peter O’Brien playing the outfield on a full-time basis, MLB.com’s Steve Gilbert reports. O’Brien went into May without having caught a game at Triple-A Reno, but went behind the plate intermittently as the month went on and the Diamondbacks’ catching situation worsened with Tuffy Gosewisch‘s ACL injury.